Private equity giant The Carlyle Group this morning announced major changes to senior leadership, with co-founders David Rubenstein and William Conway stepping down as co-CEOs, to be succeeded by Kewsong Lee and Glenn Youngkin. 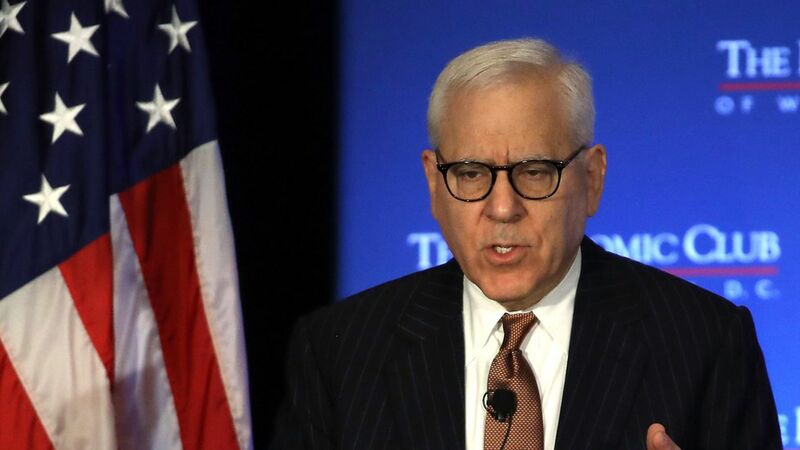 Rubenstein and Conway will become co-executive chairman of the Carlyle board, with current chairman Dan D'Aniello transitioning into a chairman emeritus role. Why it matters: Carlyle is one of the country's largest and oldest private equity firms, and this move will be closely watched as some other private equity shops have struggled with generational succession. Also, Rubenstein has significantly raised his public profile in recent years, through both his philanthropy and his hosting of an interview program on Bloomberg Television. More: Peter Clare has been named co-chief investment officer, alongside current CIO William Conway Jr. Timing: Carlyle is slated to report third quarter earnings on October 31. Next: Sources say that Rubenstein is planning to launch a family office, likely in partnership with at least one of his daughters.